Squatter's Gold is a compelling, vivid read whose underlying consideration of social issues will linger in the mind. Squatter’s Gold, a novel with a prologue of historic fiction about Sacramento, the California gold rush, hidden gold and the Squatter’s Riots of 1850, is the latest book release from Buffalo-based NFB Publishing. Fast-forward to Sacramento in the year 2002: A crime mystery of murder, gangs and found treasure; a story of colorful homeless campers and their personal struggles; the politics of homelessness and advocates at an interfaith center; along with protest, justice and redemption. The cast of haunted, but at times funny, heroes and villains and scenes of charity, murder, drug use, recovery and civil disobedience are inspired by actual events drawn from author Timothy A. Brown’s 35 years of experience as a street activist, social worker and creator of homeless programs in Sacramento, Calif.
“Squatter’s Gold is a compelling, vivid read whose underlying consideration of social issues will linger in the mind as much as its story of a struggle for gold and new opportunities,” says the Midwest Book Review. Brown earned a master’s degree in social work from Sacramento State University in 1984 and is a licensed clinical social worker. An expert on the community treatment of mental illness and addiction, as well as the causes and solutions to homelessness, he has published reports and given expert testimony to 20 Superior Courts, local governments and the California State Legislature. A recipient of many community service awards, Brown delivered a commencement address to 600 graduates of the College of Health and Human Services, Sacramento State University in 2005 and was honored with a Lifetime Achievement Award by the National Association of Social Workers, California Chapter, in 2011. A member of the Loreto Writers Collective since 2012, his short stories were published in “Reflections by the Sea” in 2015 with Blurb. This collection of short stories is about the ex-patriot experience in Baja California, Mexico. For more information on NFB Publishing, please visit www.nfbpublishing.com. You can also follow NFB Publishing on Facebook at www.facebook.com/NoFrillsBuffalo for frequent updates. 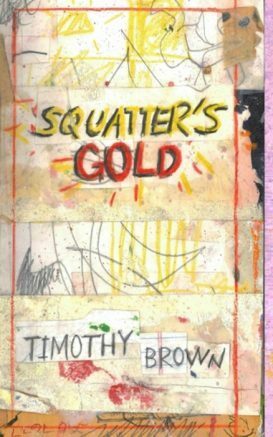 Be the first to comment on "Squatter’s Gold is latest release from NFB Publishing"